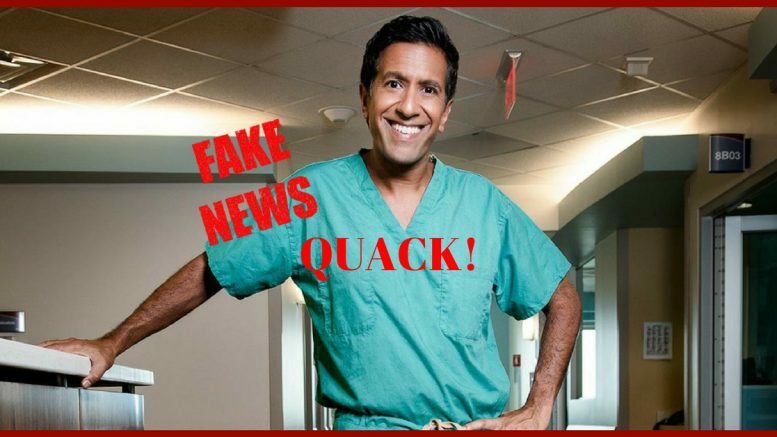 Gupta suggested that the “coronary calcium score” Dr. Jackson provided to the public “proved” Trump had mild “coronary atherosclerosis,” or a hardening of the arteries, and in Dr. Gupta’s professional opinion, that meant that Trump had heart disease. This despite a normal EKG, and Dr. Jackson actually having listened to the president’s heart. Seriously, it’s okay to seek a second opinion, but the doctor doing the subsequent opinion actually needs to have access to the patient…or at least access to specialists. That’s where Dr. Jackson trumped Gupta. But Dr. Jackson is not the same sort of doctor whose professional opinion Trump has provided to media before. After receiving Trump’s coronary calcium score, Jackson told media in a press conference on Tuesday that he consulted with cardiologists at both Walter Reed military hospital and the Cleveland Clinic, largely, he said, because Trump has a family history of heart disease. The team of doctors was fairly well convinced that, despite Trump’s habit of eating multiple fast food meals per day, he’s (mostly) heart-healthy. Probably, as Dr. Jackson put it, at least partially attributed to a life-long commitment to not smoking, but that doesn’t seem to phase the people just looking for a failing health, mental or physical, diagnosis. Gupta seemed to grasp the cardiac numbers with both hands and didn’t want to let go, and the rest of the opposition media apparently followed his lead. The truth is that the president could improve his numbers and help everyone out by eating better, and at least walking a half an hour every day, but not doing so is not going to put him in imminent danger of dropping to the floor and not getting up. Those of us who have had relatives who did that can attest to it. The man has good genes. Sorry, Democrats, but he’s going to be with us for a while.